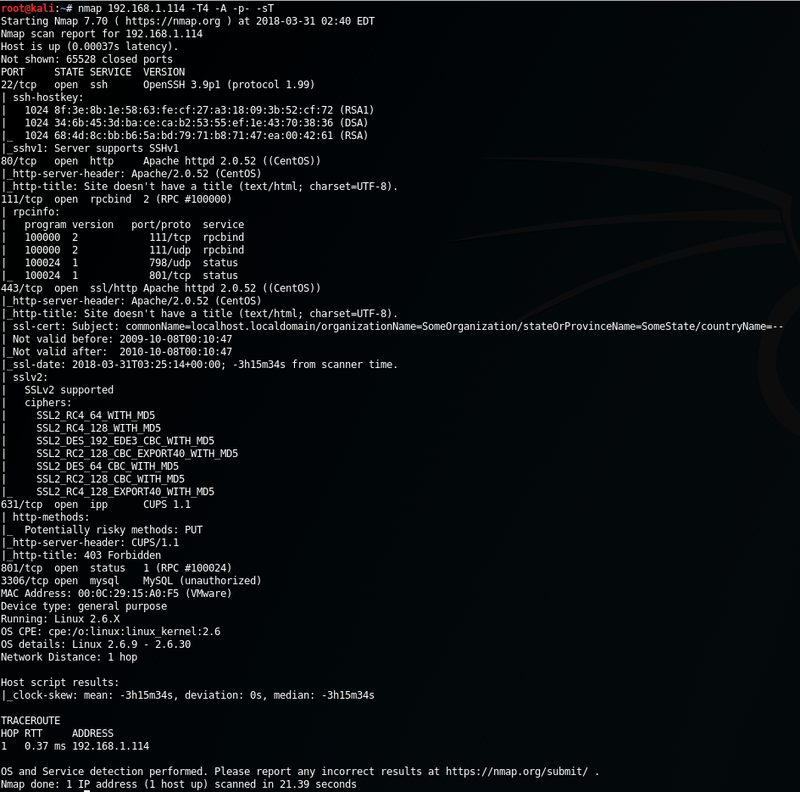 Kioptrix 2 is a Vulnhub VM. This is the first in a series of write-ups of various hands-on hacking resources I will be working through on my way to the OSCP. We will need this later for reverse shells and other fun. I immediately noticed the printer service open on port 631, with a “potentially risky method” of PUT allowed. Let’s keep it in mind for later. There’s also some RPC stuff. But port 80 is open and so is 3306. That means we probably have a database driven website running. There may be opportunities for SQL injection on that website. Let’s go check it out. It’s running PHP 4.3.9.. interesting. Like most amateur PHP projects, this one will probably be full of holes! We could try some common passwords (like admin/password), try to brute force it, or try some SQL injection. Before we start fiddling with this login system, let’s run Nikto in the background to see what it digs up. Nikto can take a while to run in real pen tests over the internet, so for best usage of our time let’s get that scan started right away. You could also start up dirb to scan for hidden files on the web server after Nikto is done. Or even while Nikto is still running, depending on how responsive the target is and how many requests per second are allowed. 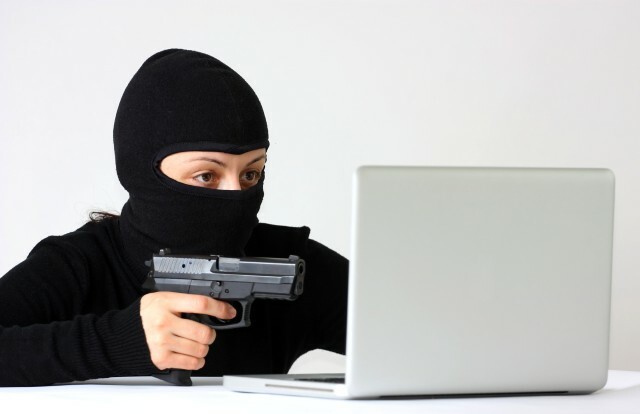 Alright, now back to the web app. Note: there is a space after the double dash. It won’t work without that! As 1=1 is always true, the database would return all records in the table no matter what. Assuming the back-end logic then only processes the first returned row, we will become logged in as the first defined user in the table. Nikto scan results. Click to view larger. An old Apache and PHP version (highlighted) but not much else that might help us get root. Back to that web app. That looks like output from the real ping command. We have a directory listing showing index.php and pingit.php. We could keep sending commands this way, but let’s get a reverse shell connection now to make things more convenient. Nice! We’re in! We have a low-privileged shell as the Apache user. We still need to find some way to escalate our privileges to root, though. My first instinct is to check the PHP source to see if the MySQL credentials are available in plain-text. Credentials are often re-used for various other things. This reveals a couple bash users at the end, john and harold. Before we go further we can try the “hiroshima” password on both accounts by SSH, and could also start a hybrid/dictionary attack against the SSH login in the background, if we were stuck. The MySQL server is set to only allow logins from localhost, and the /var/www/html directory is not writable by our limited shell user (apache). 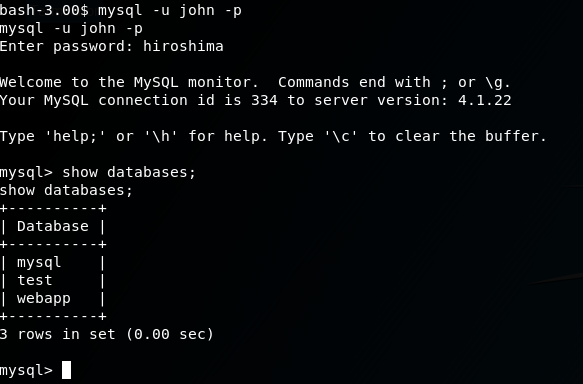 To work with the MySQL database we can create PHP files or other scripts in /tmp (writable by apache) that enumerate the contents of the database (using our pilfered credentials above), or just directly use the CLI client. Using the CLI client is the simpler option. 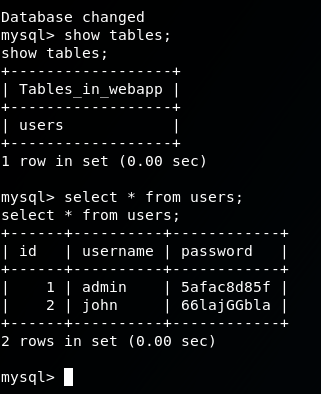 Digging around in the MySQL DB for webapp, I found plain-text passwords for the web application that would allow us to login without using SQL injection. But I didn’t end up finding any other use for these passwords. That’s not to say there isn’t any, though. We should definitely check to see if there are any known privilege escalation exploits in anything running on this box. There was that printer service running above, which I tried compiling an exploit or two for first but didn’t find anything that worked. This gives a warning but should still compile successfully. First thing I did was to change the password on the root account so that I could connect directly by SSH with a proper shell, which gives me more freedom to navigate the system comfortably. Kioptrix 1 had a flag that could be read by checking the root user’s mail, but I didn’t manage to find a flag in Kioptrix 2 despite spending an hour poking around. It states there is a “text flag” in the Vulnhub page for it. I don’t know if there actually is one or if that was a mistake. I mean, not as fun as the Rick and Morty VM, but it was way more satisfying to complete the challenge without any hints at all. Definitely going to be doing more of these. This entry was posted in CTF Walkthroughs, Security and tagged oscp. Bookmark the permalink.